Is this a store or a civic center? This week we take a break from fun and games to talk about business and consumerism–which, to be sure, is for some people also fun and games. 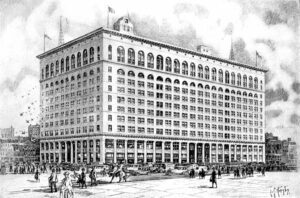 As Vicki Howard reminds us in her new book, From Main Street to Mall: The Rise and Fall of the American Department Store, it used to be that America was filled with department stores. 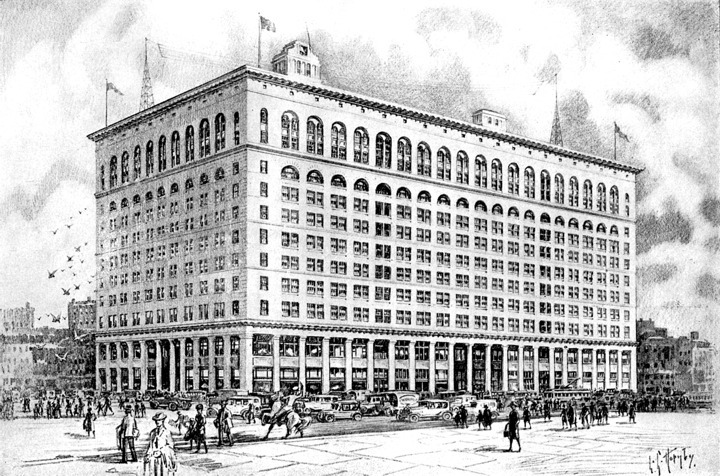 Congenital nostalgics remember places like Wanamaker’s in Philadelphia; they even print books about the big-city department stores of Days Gone By. But that ignores the important place that department stores held in small towns all around the country. Vicki Howard has already written on the history of the wedding industry. Now she and Al Zambone talk about the department store, how they began, what they offered people that hadn’t existed before, and how they were undone by the same forces that created them. Zambone gets a little autobiographical, too, but please forgive him. Enjoy. Is this a store or a temple?